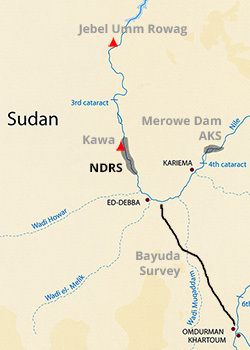 The Northern Dongola Reach Survey (NDRS) held a concession on the east bank of the Nile for 80km along the river and to the edge of the desert plateau a maximum of 18km from the river. 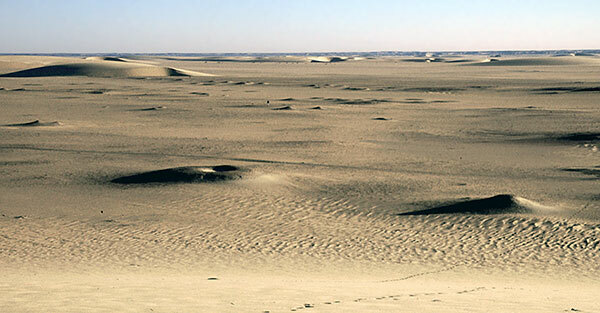 Over 450 sites were found together with clear evidence for palaeochannels of the Nile, the banks of which were densely settled during the Kerma period (c. 2500 – 1500 BC). The demise of these palaeochannels resulted in a dramatic fall in the population of the region by the 1st millennium BC. Many cemeteries were located. Particularly numerous were those of the Neolithic period which were prominent mounds. 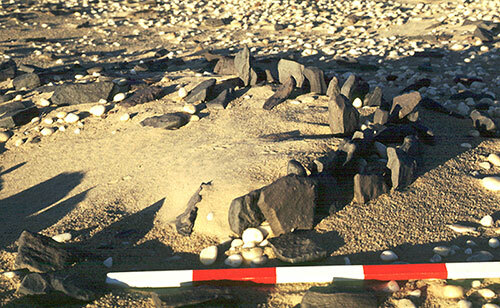 Kerma tumuli were in places well preserved and covered in white quartzite pebbles and fragments of black stone. Medieval box graves were almost exclusively located close to the river as were the Islamic period qubba, tombs of holy men. Judd, M.A. 2002b. ‘One accident too many?’ British Museum Studies in Ancient Egypt and Sudan 3, 42-54. Macklin, M.G. and J.C. Woodward 2001. ‘Holocene Alluvial History and the Palaeochannels of the River Nile in the Northern Dongola Reach’, in D.A. Welsby, Life on the Desert Edge. Seven thousand years of settlement in the Northern Dongola Reach, Sudan. London, 7-13. Welsby, D.A. 1994a. ‘The Northern Dongola Reach Survey’, Egyptian Archaeology 5, 7-8. Welsby, D.A. 1997a. ‘The Northern Dongola Reach Survey’, Archaeological Reports 1996 29-32. Welsby, D.A. 1998. 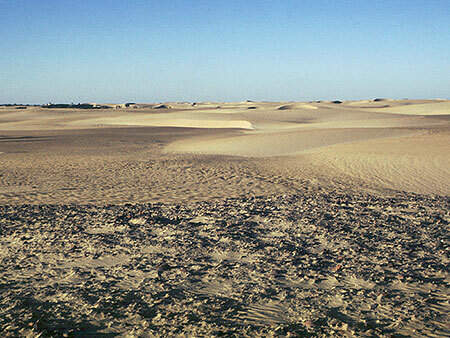 ‘Excavations In The Northern Dongola Reach, Sudan’, Durham & Newcastle Archaeological Reports 1997 37-41. Welsby, D.A. 2000. ‘South from Kadruka: the Neolithic in the Northern Dongola Reach, Sudan’, in L. Krzyzaniak, K. Kroeper and M. Kobusiewicz (eds). 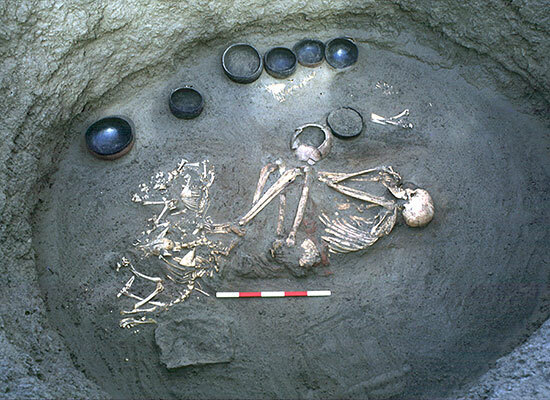 Recent Research into the Stone Age of Northeastern Africa, Poznan, 129-136. Welsby, D.A. 2001. Life on the Desert Edge. Seven thousand years of settlement in the Northern Dongola Reach, Sudan. London. Welsby, D.A., M.G. Macklin and J.C. Woodward 2002. ‘Human Responses to Holocene Environmental Changes in the Northern Dongola Reach of the Nile, Sudan’, in R. Friedman (ed.) Egypt and Nubia. Gifts of the Desert, London, 28-38. Welsby, D.A. and I.Y. Sjöström 1994. 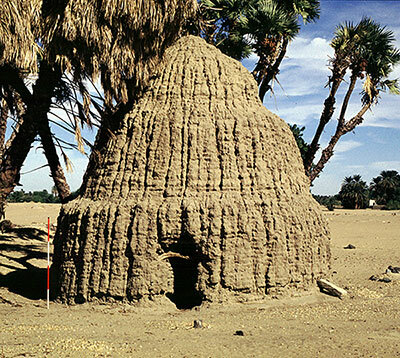 ‘The SARS Northern Dongola Reach Survey’, Sudan Archaeological Research Society Newsletter 6, 2-9. Welsby Sjöström, I. 2001a. 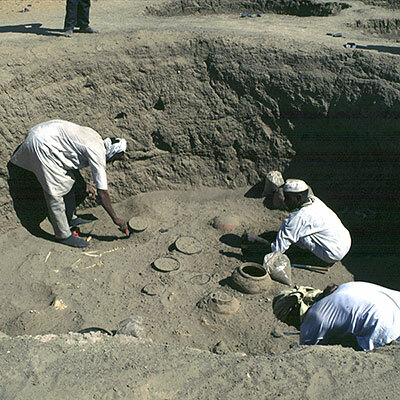 ‘Pottery from the Kerma Moyen graves at Site P37’, in D.A. Welsby, Life on the Desert Edge. Seven thousand years of settlement in the Northern Dongola Reach, Sudan. London, 349-354. Welsby Sjöström, I. 2001b. 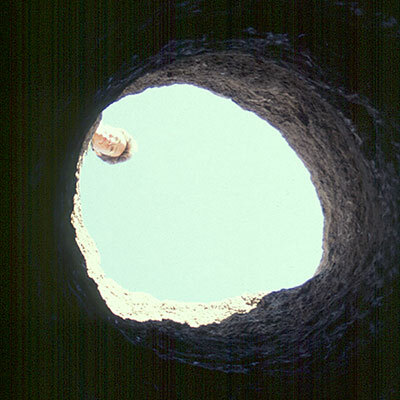 ‘The Pottery from the Survey’, in D.A. Welsby, Life on the Desert Edge. Seven thousand years of settlement in the Northern Dongola Reach, Sudan. London, 230-348. Wills, B. 2001. ‘The Leather Samples excavated from Sites O16 and P37’, in D.A. Welsby, Life on the Desert Edge. 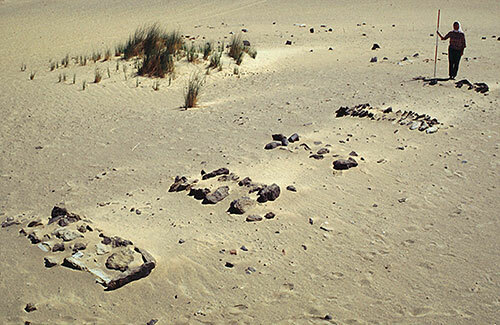 Seven thousand years of settlement in the Northern Dongola Reach, Sudan. London, 449-457. Woodward, J.C., M.G. Macklin and D.A. Welsby 2001. ‘The Holocene fluvial sedimentary record and alluvial geoarchaeology in the Nile Valley of Northern Sudan’, in D. Maddy, M.G. Macklin and J.C. Woodward (eds), River Basin Sediment Systems: Archives of Environmental Change. Rotterdam, 327-355.